US Central Command and US Air Force Central Command have denied reports that the US was in the process of liquidating its two largest air bases in the Middle East at Incirlik, Turkey, and Al-Udeid, Qatar. On March 22, DEBKAFile reported "earthshaking" news that turned out to be anything but: according to the Israeli military intelligence website, US President Donald Trump and Saudi Arabian Crown Prince Mohammed bin Salman supposedly agreed to transfer military assets from Qatar to Saudi Arabia. Furthermore, the contentious report stated that Trump was "packing up" the US Air Force base in southern Turkey, too. "These reports are false and without merit," US Central Command (CENTCOM) stated Sunday via Twitter. Al-Udeid Air Base serves as a central hub for US Central Command in the Middle East. 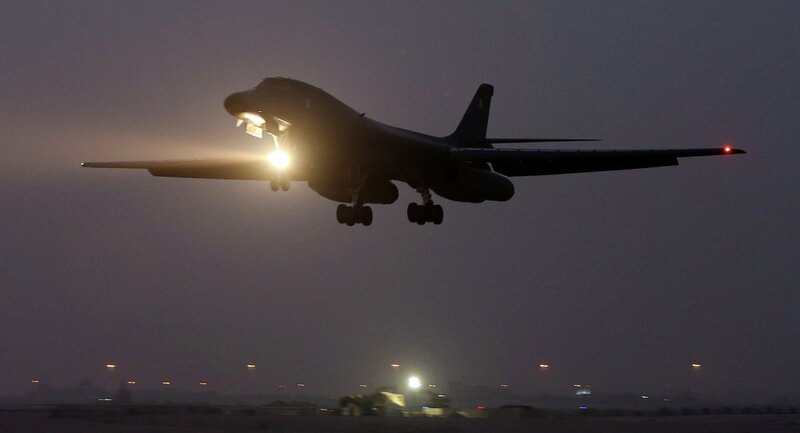 US Air Force Central Command, (AFCENT), the air component of CENTCOM, also stated Sunday that the command was "aware of news reports falsely asserting US military forces are leaving Incirlik Air Base, Turkey, and Al-Udeid AB, Qatar. There is zero credibility to these reports, which only increase mistrust and division among regional partners at a time when we need to work together to address shared security concerns." "The US and Qatari government acknowledge their strong and lasting bilateral security partnership," AFCENT stated on its Facebook page. The Pentagon has als told reporters in recent months that the Turkish base in Incirlik plays a significant role in NATO and anti-Daesh coalition efforts.